Where do the most women go to study their MBAs? Historically, top-ranked MBA programs have been heavily populated by men. While business schools have made big efforts to boost gender diversity in recent years, the problem persists. According to GMAC’s latest applicant trends report, the percentage of female applicants to traditional, two-year, full-time MBA programs fell from 40% to 37% last year. The percentage of female, one-year MBA applicants stayed stagnant at 36%. At the Indian Institute of Management Bangalore, only 14% of full-time MBA students are women, according to data from the Financial Times’ Global MBA Ranking 2017. But even in the US and Europe, some schools are downright male-dominated. 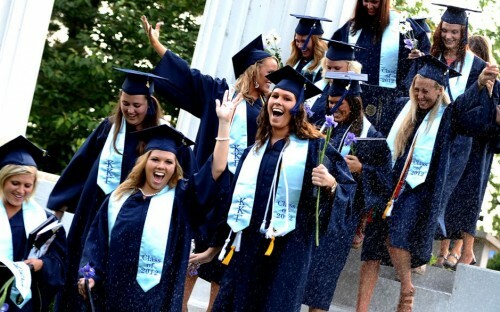 At the University of Notre Dame’s Mendoza College of Business, just 18% of full-time MBA students are women. At the University of Iowa: Tippie, the University of Illinois at Urbana-Champaign, and at IMD in Switzerland, only 19% of MBA students are women. Some schools are doing their bit for women in business. In the US, the UK, and China in particular, business schools are putting women (as well as men!) into higher level, higher wage jobs after graduation. All data is based on the Financial Times Global MBA Ranking 2017 unless stated otherwise.